Treadmills provide and excellent and convenient way to get the vast benefits of walking, jogging and running while at home or in the office. Jogging and running outside is certainly great from a scenic point of view but treadmills allow you to get all of the benefits of an energizing run without having to deal with bad weather including rain, sleet and snow. In addition no more dealing with extreme temperatures just so you can get in your daily jog or run. Sweltering summer heat and Old Man Winter’s cold winds mean nothing when you’re running on your treadmill indoors. And if that’s not enough to convince you think about not having to put up with rude motorists and oblivious drivers who don’t see you until it’s too late. Treadmills these days come with some pretty fancy features compared to exercise equipment from years past. Top flight treadmills like you’ll find here at TV Gyms offer everything from computerized consoles with multiple exercise programs and advanced workout tracking to heart rate monitors and high quality speaker systems. Some treadmill models even store multiple customizable workout profiles so everyone in the family can take advantage of having their very own profile. 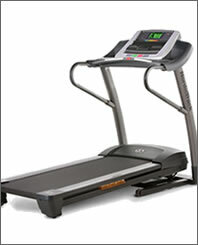 Some of these treadmills come with so many bells and whistles that they make running fun again. 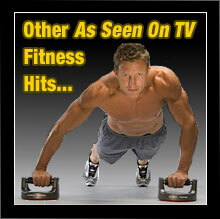 You’ll want to hop on and go for a run or jog every chance you get. And getting more exercise is what it’s all about isn’t it? 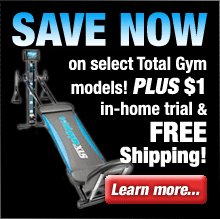 Check out the selection of treadmills that we offer and find one that has all of the features and specs that you’re looking for. We offer fitness equipment from only the leading manufacturers in the fitness industry so you can be assured that every treadmill you’ll find here is of the highest quality. 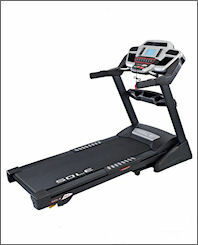 Sole Fitness F80 treadmill is a favorite with consumers and is outfitted with Sole’s Cushion Flex Whisper Deck, shown in a study to reduce impact up to 40% compared to running on asphalt. 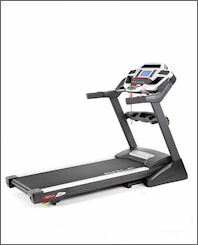 The F80 has been reviewed as “the best treadmill in its price range” by consumers as well as numerous consumer resources. 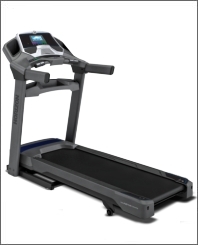 The F80’s Cushion Flex Whisper Deck is proven to perform as well as or better than other commercial treadmills that cost thousands more. The folding treadmill frame design came from the demand of luxury hotels for a treadmill as mobile as a room service cart, yet still stable and powerful. The Sole Fitness F80 treadmill is designed to help you get you in shape fast while also being very friendly to your budget. 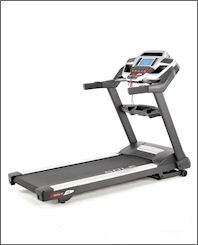 Sole Fitness F63 treadmill has won rave reviews from numerous consumer resources and magazines for offering an excellent balance of features and value. Not only does the F80’s Cushion Flex Whisper Deck perform as well as or better than other commercial brand treadmills that cost thousands more, it’s also covered by a lifetime warranty. The powerful 3.5 HP motor delivers challenging speeds up to 12 mph and inclines up to 15%. The F80’s console is user friendly with a bright display that provides a variety of information at a glance. And when not in use, the Sole F63 treadmill deck safely locks into place, 100% secured. 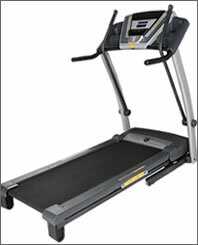 Sole Fitness TT8 light commercial treadmill is a marvel of advanced and innovative engineering. It performs at the same level as expensive commercial treadmills and compares to them in every way, except for its very attractive price. The “TT” in TT8 stands for twenty-two as in twenty-two inches wide. 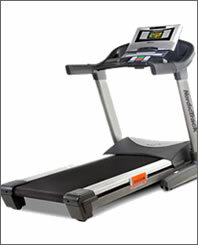 The TT8 treadmill offers a twenty-two inch wide running surface designed to give runners an extra safe and comfortable feel. The extra width truly lets runners run freely without having to think about where they’re positioned on the treadmill as often has to be done on narrower treadmill surfaces. The TT8 also offers a grated reinforced framework which produces the best foundation for a deck and is rated for stress/use and users up to 425 lbs.